Check the Ko Lanta ferry schedule for your next ferry trip, view pricing and book tickets online. To see the Ko Lanta ferry schedule and pricing for your particular trip, select your journey below. 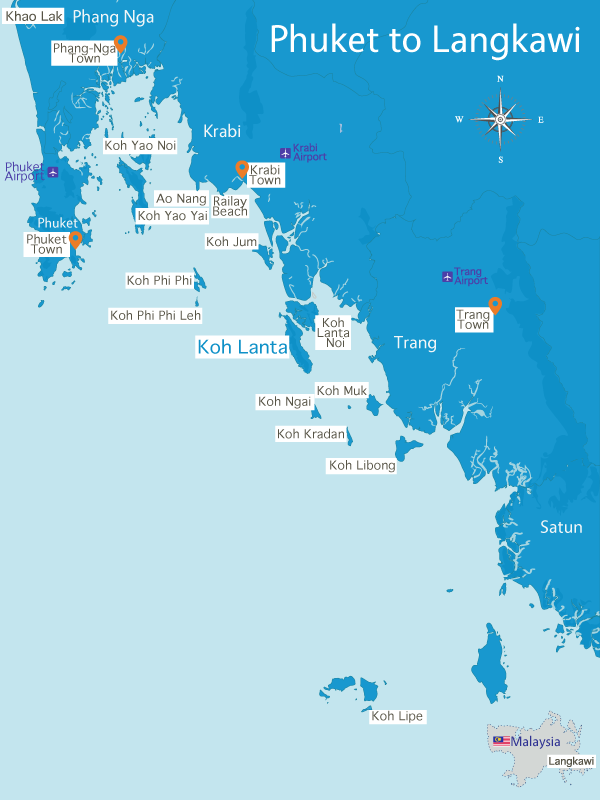 There are numerous ferries to Ko Lanta from different starting points all along the south west coast of Thailand. If you are travelling from Krabi Airport to Ko Lanta, note that the ferry is quite a slow way of getting to and from Ko Lanta. The quickest way from Krabi Airport to Ko Lanta is the Transfer Express or the Taxi Transfer.